It's a paradise of islands, lagoons, and beaches! Snorkel in the pristine waters of Seven Commando beach, and get a chance to see a few sea turtles! Looking to have more fun in El Nido? Then you might want to try the Islands and Beaches Tour, the Caves and Coves Tour or the Hidden Beaches and Shrines Tour! One of the most famous destinations in the Philippines are the famed El Nido Islands. This beach paradise is so famous that no trip to the Philippines would be complete without a visit! 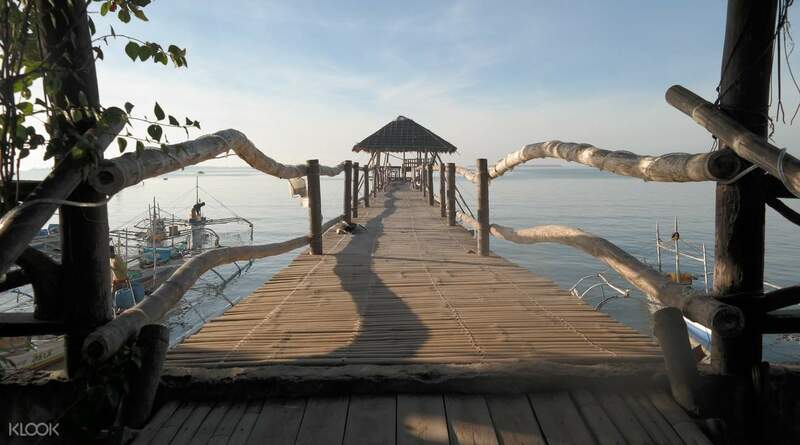 This package will take you straight to its most beautiful lagoons full of picture perfect wonder. 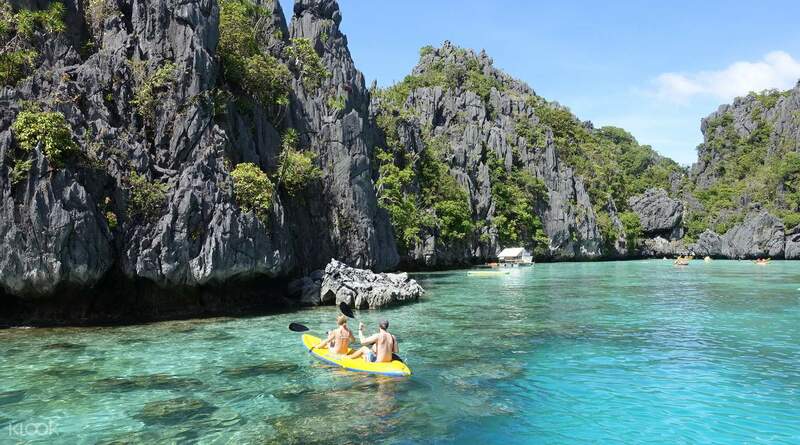 The big lagoon features the full beauty of El Nido's lagoons: rippling clear waters, rock formations around you and under the water, like an idyllic marine waterway. The hidden lagoon is straight out of a storybook, where you duck into a small entrance to reveal a secluded pool of crystal water surrounded by rocks, bringing back memories of stories of mermaids and fairytales. After lunch, you'll head to Shimizu Island's white beaches and get to experience its untouched natural beauty nestled in the waters. You'll the learn of the name origins of 7 Commando Beach, your next stop, where you'll be able to relax and take a dip in the clear blue ocean. 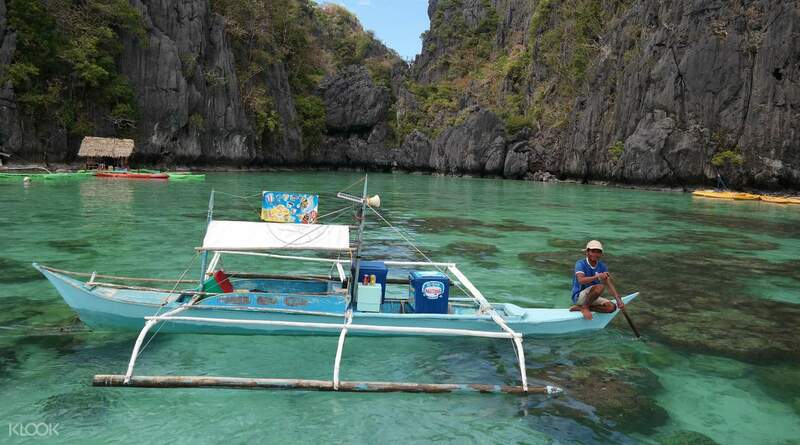 There's no doubt that this tour of El Nido will take you to a world of aquatic wonder, one you will not soon forget. Explore the fairytale-like lagoons and even discover the hidden lagoon! Head to Shimizu Island and 7 Commando Beach right after your lagoon explorations! Jhanna's Inn Tours and Travel and their crew are a fantastic bunch. Better experience than bartering around for a cheap private tour. Using Klook app, you can book with a well known travel agency that makes sure your boat trip is enjoyable, safe, and entertaining. Don't opt for smaller agency, go with this, you won't regret it! Whole day from 9AM to 5PM, well worth the money! Also, they disembark from the pier, you don't need to wade through the murky polluted El Nido beach. Important because others have gotten sick just by dipping in the City's beach water. However, the sea waters in the island tour is clean and safe. Jhanna's Inn Tours and Travel and their crew are a fantastic bunch. Better experience than bartering around for a cheap private tour. Using Klook app, you can book with a well known travel agency that makes sure your boat trip is enjoyable, safe, and entertaining. Don't opt for smaller agency, go with this, you won't regret it! Whole day from 9AM to 5PM, well worth the money! 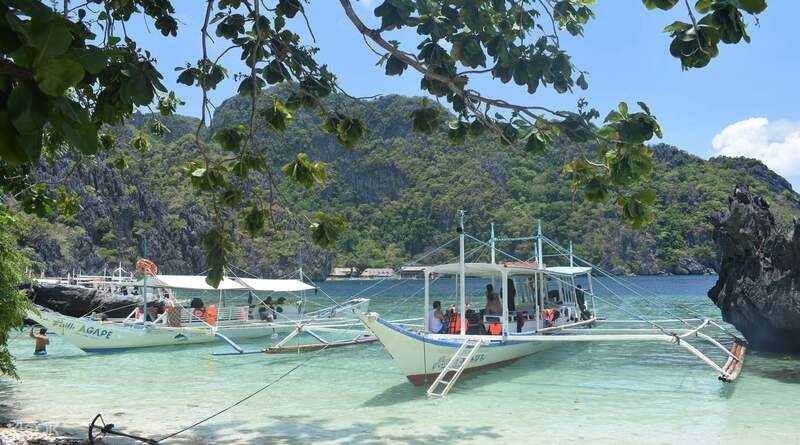 Also, they disembark from the pier, you don't need to wade through the murky polluted El Nido beach. Important because others have gotten sick just by dipping in the City's beach water. However, the sea waters in the island tour is clean and safe. Pre-tour : Easy to contact staff / well informed for meeting point and time Tour : nice staffs / good service / lunch was soooo nice / very accommodate / time well managed / finished everything on itinerary // PS. There is hidden charge another 250P for kayak at Big Lagoon Overall : nice and money worth. Pre-tour : Easy to contact staff / well informed for meeting point and time Tour : nice staffs / good service / lunch was soooo nice / very accommodate / time well managed / finished everything on itinerary // PS. There is hidden charge another 250P for kayak at Big Lagoon Overall : nice and money worth. Our tour started an hour late coz the operator wasn’t able to get a clearance in advance, so we had to move our trip back to PPS two hours later our original schedule. We enjoyed the tour, had snorkeling, kayaking, picture taking. El Nido is really beautiful! Our tour started an hour late coz the operator wasn’t able to get a clearance in advance, so we had to move our trip back to PPS two hours later our original schedule. We enjoyed the tour, had snorkeling, kayaking, picture taking. El Nido is really beautiful! We’ve thoroughly enjoyed our tour. The boat left earlier than when we did tour C with another company. Spent descent amount of time in each lagoon/ beach, didn’t feel as rushed, and it felt like we were in each place just before other boats started to arrive. The snorkeling experience was amazing, we saw so many beautiful fish and some colourful lagoons. We’ve thoroughly enjoyed our tour. The boat left earlier than when we did tour C with another company. Spent descent amount of time in each lagoon/ beach, didn’t feel as rushed, and it felt like we were in each place just before other boats started to arrive. The snorkeling experience was amazing, we saw so many beautiful fish and some colourful lagoons. Trip was very good. We travelled through 5 very beautiful and unique destinations, we get very delicious dinner at boat, guides were good and fluently English speaking. So, we can recommend this trip as good organised and interesting. Trip was very good. We travelled through 5 very beautiful and unique destinations, we get very delicious dinner at boat, guides were good and fluently English speaking. So, we can recommend this trip as good organised and interesting. We started a bit late but the experience was superb! I’m really glad that we were able to go and do kayaking into the big lagoon. Kudos also to our tour guides who always made us laugh with their jokes. The food also was delicious! I also recommend Tour C. We started a bit late but the experience was superb! I’m really glad that we were able to go and do kayaking into the big lagoon. Kudos also to our tour guides who always made us laugh with their jokes. The food also was delicious! I also recommend Tour C.
The only not good experience is they were too kind enough that they didnt leave the two joiners behind which they shouldve since theyve been late for more than an hour. We were already fried just by waiting in the boat for them. Pinoy pa naman tas maririnig pa namin dahil may hangover kaya nde nagising? And no sense of urgency at all nag picture pa bago umakyat ng boat. If ill come back to el nido ill book with these guys again. Kudos Kuys Joel! The only not good experience is they were too kind enough that they didnt leave the two joiners behind which they shouldve since theyve been late for more than an hour. We were already fried just by waiting in the boat for them. Pinoy pa naman tas maririnig pa namin dahil may hangover kaya nde nagising? And no sense of urgency at all nag picture pa bago umakyat ng boat. If ill come back to el nido ill book with these guys again. Kudos Kuys Joel! We love the place, it feels magical. It just that we booked for Big Lagoon (additional fee, not included in this package cost) but when we got there it is already fully booked since many tourist wants to see the Big Lagoon. We were disappointed at first, but they have toured us to other islands that was part of different tour package and it was all beautiful. Further, the tour guide is good at taking photos and we also enjoyed the food. We definitely go back and avail the other tours. We love the place, it feels magical. It just that we booked for Big Lagoon (additional fee, not included in this package cost) but when we got there it is already fully booked since many tourist wants to see the Big Lagoon. We were disappointed at first, but they have toured us to other islands that was part of different tour package and it was all beautiful. Further, the tour guide is good at taking photos and we also enjoyed the food. We definitely go back and avail the other tours.